"Did you see that picture of you on Pinterest?!? ": Shifts in Branding and Identity - SmackSmog! The study was created using statistics from over 10 million Pinterest pins, comments, and likes. 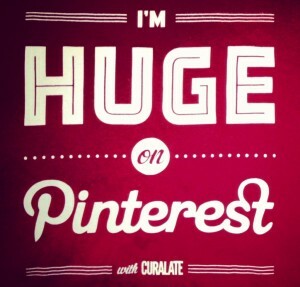 Digitas and Curalate examined Pinterest data from over 120 brands for the study. They pinpointed two industries, fashion and automobile, as being unusually silent. It would seem with good cause, yes? This most recent Pew Internet Study that included Pinterest demographics reports that the greatest number of users are white women under 50 with some college education. Fashion and accessories are one of the most common things in the “Everything” feed. And cars are some of the most photogenic objects; our love affair with auto’s has started with Henry Ford, and photography of them not far behind. I think this study reveals a double edged sword, a (silent, at least in the write up) positive attribute as well as a word of caution to brands. The caution, or call-to-attention, is inferred above and explicit in the write up by Search Engine Watch. If J. Crew or Christian Dior are not on Pinterest, they do so at their own loss. Of course, they can’t control their identity nor the manner with which culture will brand them. But not being present at all is a great risk, yes? However, this is also incredible word of mouth advertising. An organization must be doing something right if they have a population of people who are “talking” about them. “Talking” here being “pinning”. To have created the kind of identity where your product or services go on without you is one of the dreams of commercial company’s, yes? Even non-profits dream for their services to be discussed among their communities with such enthusiasm. We have a tendency to think in binaries in western culture, and I’ve played that here as well. The binary in this case is the “good/bad” of “you need to drive the conversation/they will drive the conversation”. This is a false dichotomy -with some truth- that doesn’t fully capture the complexity of reality. Even if J. Crew is on Pinterest and contributing to their own identity, they still will not control it. Remember our post last week about transparency? Not only were Amy and Samy transparent, they have lost almost all control of their branding. It is defined by the larger culture, whether those who participate ever patronized the restaurant or not. It’s a both/and scenario. In our face/face relationships, in all of their complexities, those we live and work with have opinions about us. They all see us in uniquely different though perhaps nuanced ways. Social media forces an organization from a monolithic structure to one that is more revealing (or transparent): a group of people, organized towards a mission. Branding has thus shifted from a position of power to one in dialogue. Participation in Pinterest for the fashion industry, then, allows brands to continue to tell their stories, create dialogue, and allow for their identity to remain malleable. (Rigidity in this new social space is practiced at the demise of the organization.) We want to have the word of mouth that is touched on by the original study, but we want to be part of the conversation. To not be engaged means an even greater loss of identity, one that may eventually take away our very organization. Amy and Samy may provide that evidence all too soon.